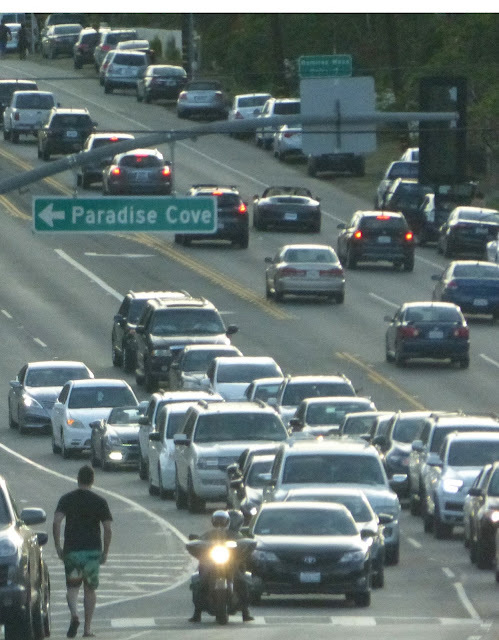 Did you hear the one about the traffic consultant for the Park LLC shopping center development in the Malibu Civic Center area who thinks traffic on Pacific Coast Highway has decreased? 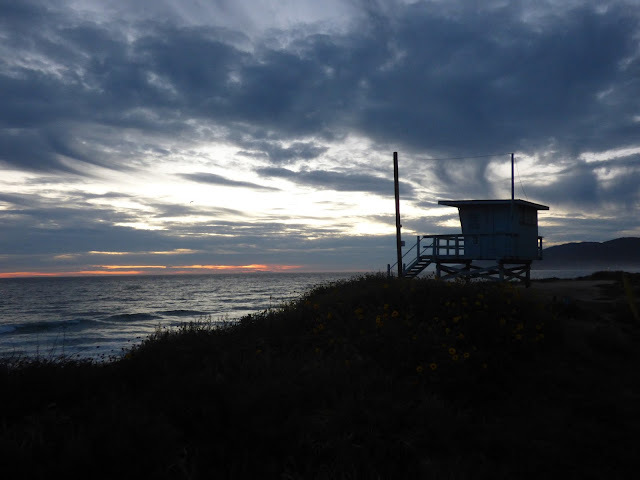 The punchline of his report wasn’t met so much with laugher as with hoots of derision from the audience when the report was presented to the City of Malibu Planning Commission last month, which earned a reprimand from the commission chair. That traffic report, and its stand-up-comedian-worthy statistics that claim there has been a decrease instead on an increase in traffic on PCH in recent years and that the proposed new mall will not have a significant impact on PCH traffic, will be part of the debate on Monday at Malibu City Hall, when the City Council hears the controversial Park LLC shopping center development proposal. 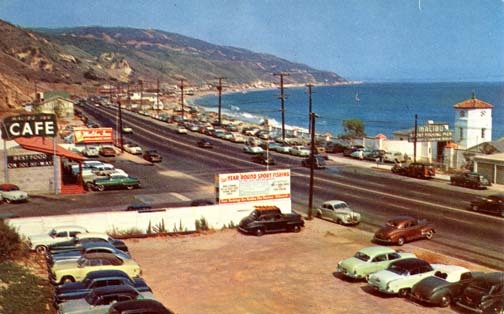 A postcard shows PCH in the 1950s, opposite the Malibu Pier, looking east. Several, eh? There were 167 comment letters from individuals, and traffic was the main concern raised. One begins to understand the discrepancy in the traffic count numbers when the authors of the EIR describe all those comment letters as "several." The traffic counts used for the Project’s TIA were collected by the City of Malibu in July of 2012 in accordance with the City’s Traffic impact Analysis Guidelines. Two separate traffic counts were collected during the summer period (July 2012), one count on a Thursday and another count on a Saturday. 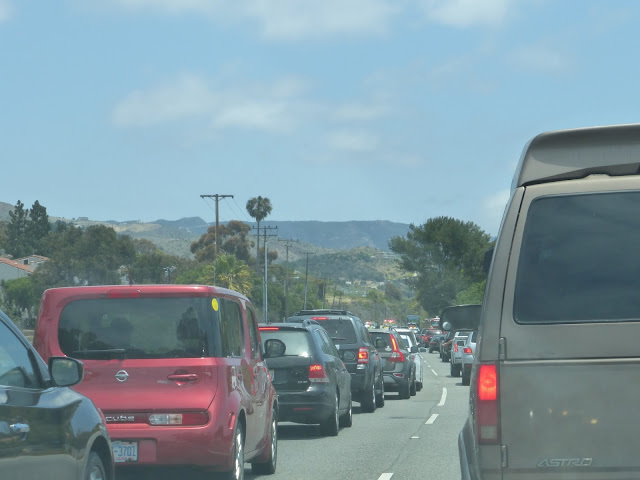 The City decided to collect summer traffic counts after reviewing comments received during the Draft EIR Scoping Meeting (refer to Draft EIR Appendix 1.0) and after reviewing traffic count data previously collected in the City of Malibu traffic over a period of 16 years (1996 to 2012). These counts indicated that summer period traffic volumes and PM peak hour traffic volumes were generally higher than non-summer traffic volumes and AM traffic volumes. *Note: The exact traffic count dates were unavailable. "This relatively small amount of variation in overall intersection traffic count volumes is common. These traffic count volumes were reviewed by City Staff and were considered to be within a reasonable range of tolerance and thus they provide a reasonably accurate representation of baseline traffic conditions." 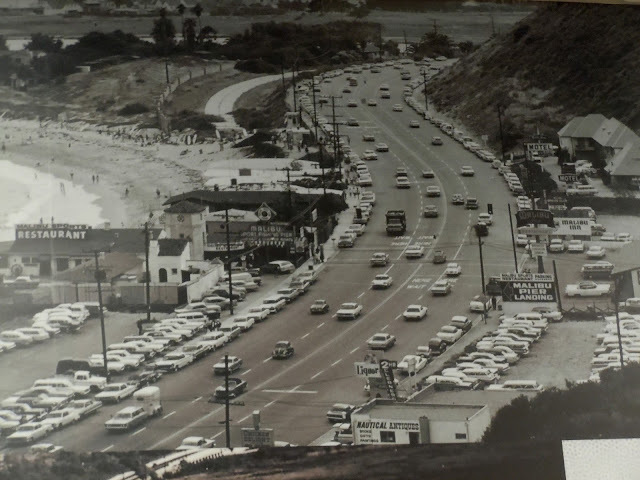 Beach traffic in the late 160s or early 1970s. 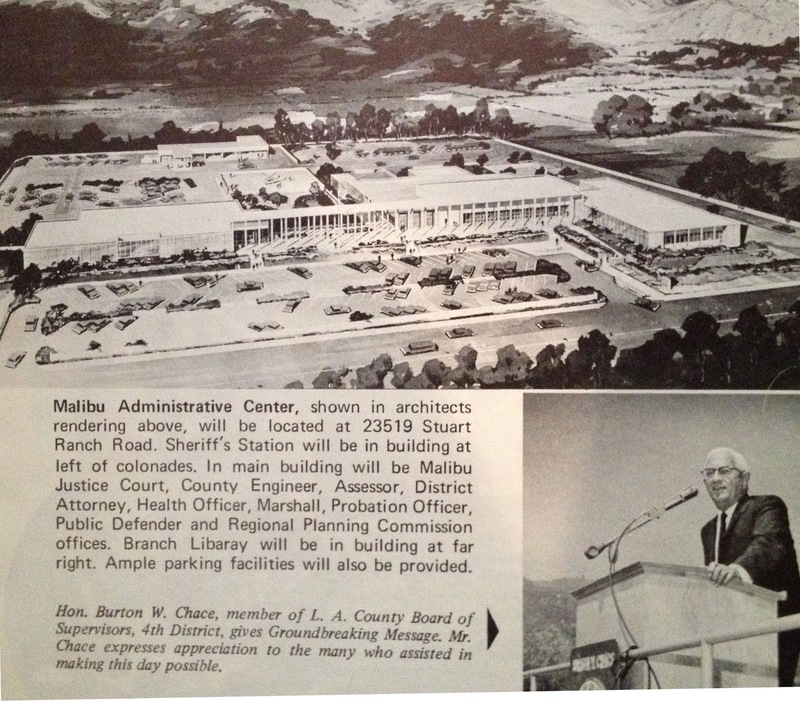 This image is one of several historic photos used as murals on the walls at the Malibu Public Library. It's disconcerting to think that major development decisions can hinge on a couple of casual traffic studies conducted for a couple of hours on two days, three years ago. Was it sunny or overcast on those two days? Warm or cold? Was there big surf or no surf? If this was a scientific or medical study the results would never pass peer review. 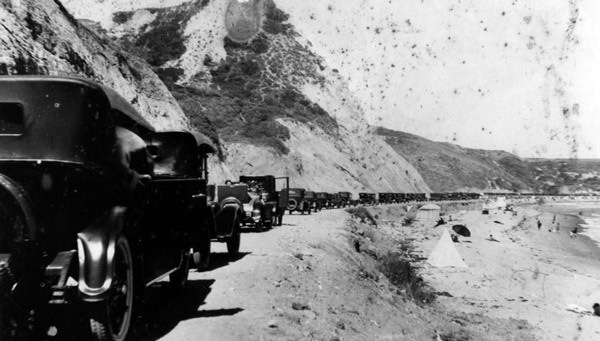 Another vintage image of PCH in the 1930s. This one is a reminder of just how fragile PCH really is and how precariously close it is to the ocean. Much of the debate, including the traffic discussion, has been centered on a certain oversized pachyderm in the room—the presence of a Whole Foods market in the new shopping center. Although the planning commission heard impassioned testimony from a speaker who said they must have a Malibu Whole Foods because chia seeds are too expensive at Malibu’s existing, family-owned health food store, PC Greens, and although this project has been called “Whole Foods in the Park” and “Whole Foods and the Park” the developer has yet to produce concrete evidence that a Whole Foods store will ever occupy this space. The Planning Commission pointed out that even if a Whole Foods opens on the site, the decision is about a shopping center and not about a name brand business, because things come and go. We’ve had plenty of grocery stores, most of them long gone and forgotten. The first was at Las Flores and only open during the summer months, the second was the Colony Market. Remember the Malibu Market Basket? Mayfair at Point Dume? The Rainbow Grocery? Alexander’s? HOWS? 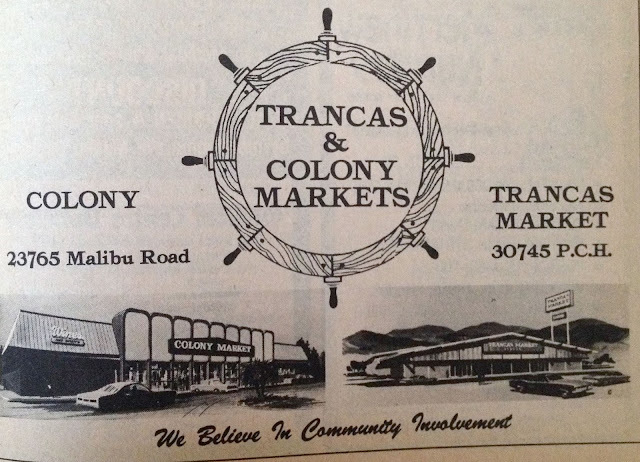 Remember the Colony and old Trancas markets? How about the Market Basket, Mayfair Market, Alexander's, Howes and the much loved and long lamented Rainbow Grocery, which was housed in the old Ridge Railroad engine shed? Grocery stores come and go. Right now we have four full service markets: Vintage, Pavillions, Ralphs, and PC Greens. Trader Joes in just 9 miles away for Point Dume residents, while Albertsons and Erewhon are 10 miles from central Malibu residents at the top of Malibu Canyon. 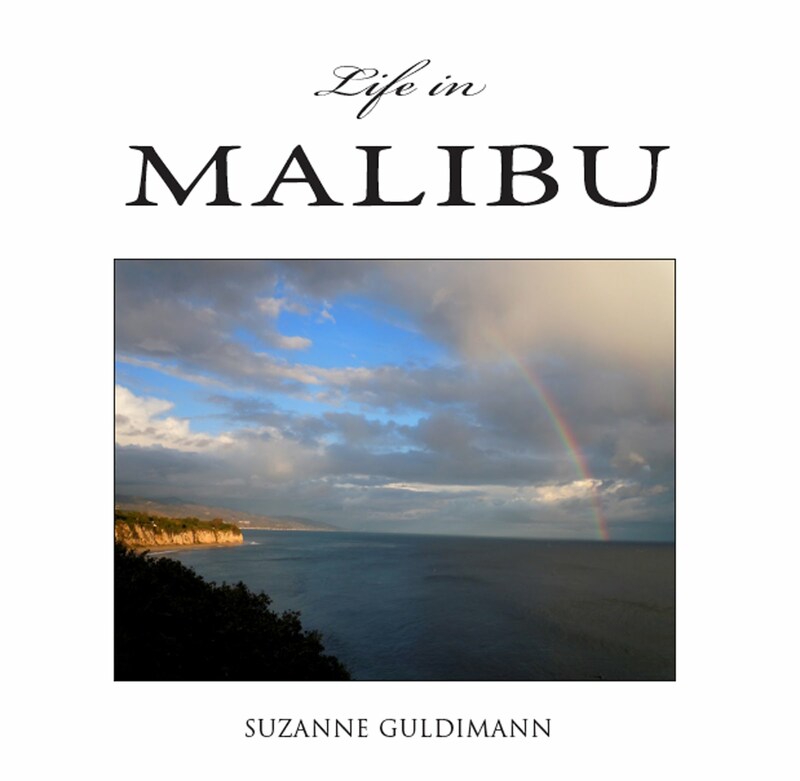 Many Malibuite are returning to the old Malibu tradition of delivery. That Amazon Fresh truck that delivers anything and everything right to the customer's door is showing up all over Malibu all the time these days. Malibu residents aren't exactly withering away from lack of access to groceries. The Park LLC is reportedly being funded by Fortress, LLC, one of the largest commercial real estate investment corporations in the world. It’s representative is a powerful man. He was displeased with the Malibu City Council at the July 13 meeting, because the council, in an effort to ensure that there will be sufficient time for everyone to share their thoughts on the project and for making a reasoned decision at a better hour than 3 am, elected to move the hearing to Monday, July 20 at 4 p.m.
Soboroff then began to accuse Council of being swayed by an unnamed outside motive. “What did you learn tonight to make this turn over?” Soboroff asked. What the council learned was that there were more people at the meeting than could reasonably be accommodated during public comments that night. It wasn’t a conspiracy, it was a reasoned and thoughtful decision to find a time when everyone’s comments can be heard. It’s a symptom of this kind of “them vs us” mentality that was also exhibited when the developer called for limiting the presentations to one hour each of pro and con. Perhaps he’s unaware that some people are neutral and simply wish to ask questions, and that others support elements of the project but may have concerns about aspects like traffic and the request for a variance that would allow the developer to count "green walls," planted presumably with succulents, as open space. 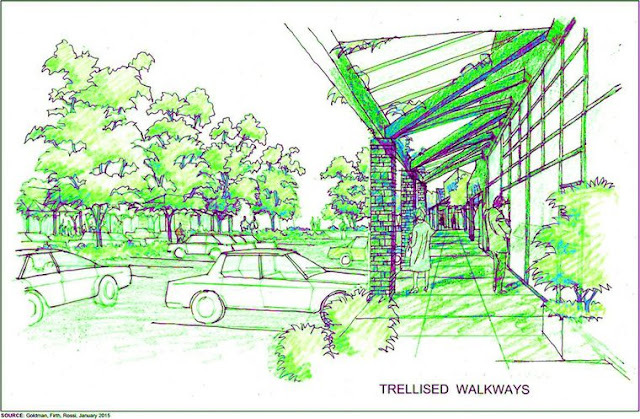 Traffic may be the main concern the the Park shopping center project, but there are other concerns, including the request for a variance that would allow the developer to use "green walls" and trellises" as part of the project's open space requirements. No one is arguing that the property owner has the right to build. The debate is over size, traffic impact, and how well the project fits into the environment and addresses the needs of the community. Whether Fortress likes it or not, the people of this community have the right and the responsibility to weigh in. Malibu residents are the ones who are going to have to live with the aftermath of this project, long after these investors have moved on. That’s why its so important to take the time to get it right. 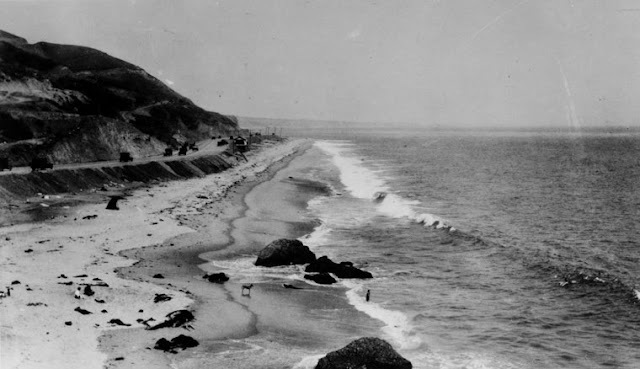 In the 1950s the County had a vision for Malibu that included a freeway, a marina, golf courses, country clubs, and a population of 300,000 people. 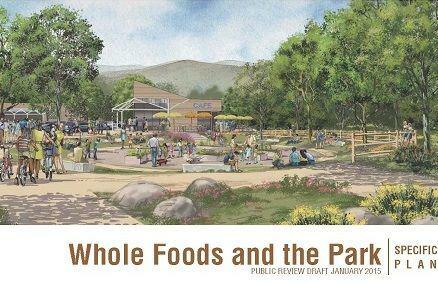 Projects like the Park LLC seem to be designed for that alternative reality that never happened. The reality isn’t a burgeoning resort community of 300,000, it’s a small town with less than 13,000 residents on paper, and only 5000-6000 permanent year round residents. But it's also a town that receives millions of annual visitors, headed to the beach and the mountains that comprise the Santa Monica Mountains National Recreation Area. According to statistics presented by the LACFD to the City of Malibu's Safety Commission, in 2013, there was a summer total of 7.4 million visitors at Malibu beaches. In 2014, that number was 10.2 million, and that's just beachgoers, and just during the summer months. It doesn't include Z traffic, or resident road trips, or people headed for the mountain portions of the SMMNRA. Adding an extra layer of concern to the already complicated traffic equation, sea level rise predictions indicate that this is a community that is ultimately going to shrink, not grow, as sea level rise nibbles away at the edges. 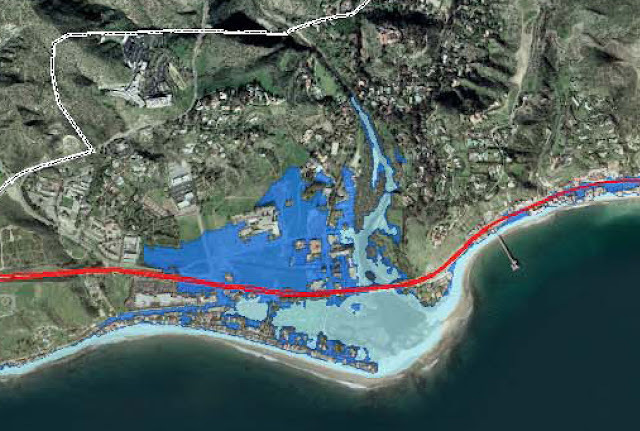 This 2009 Pacifica Institute map shows the Civic Center area's current 100-year flood zone (light blue) and the flood zone after the projected sea level rise of coastal base flood + 1.5 meters (dark blue). 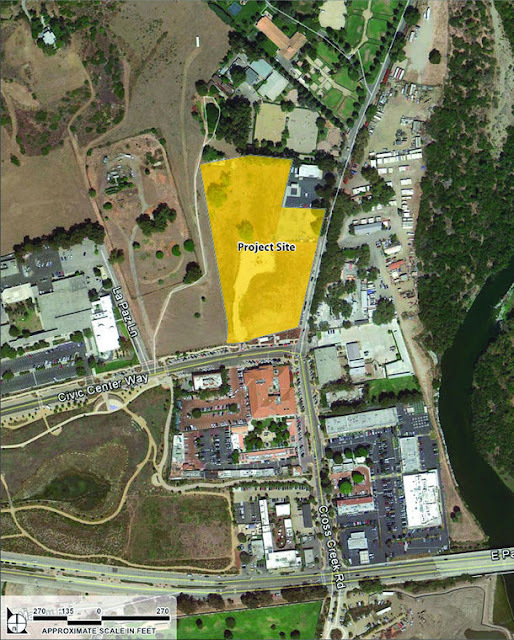 That's the Park LLC project site in yellow. 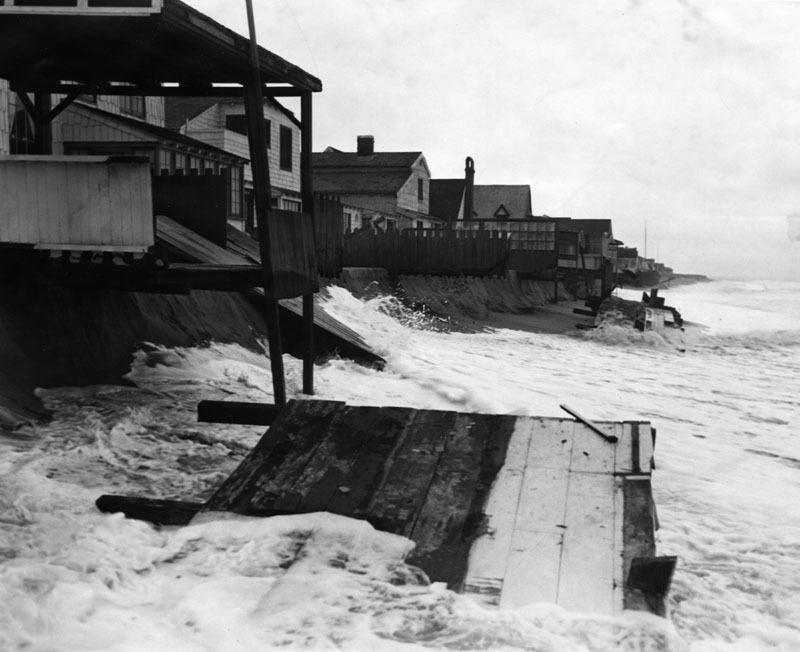 If sea level rise predictions are accurate, it may eventual be a Whole Floods. All the money in the world isn’t going to maintain the Great Wall of Malibu—the beach houses that extend from the Malibu Pier almost all the way to the Santa Monica Pier as the water levels rise, if predictions are accurate. Those predictions are one of the reasons its critically important to make sure the data used to develop traffic plans is accurate. PCH is the lifeline of the community. Anything that impacts this main artery is a serious concern for everyone who uses the highway, not just residents. It's hard to understand why anyone would want to built a large shopping center in an historic flood plain, but none of the current batch of developers live in Malibu and perhaps they are unaware that when things go bad they look like this. The image is a clipping from the Malibu Surfside News saved by my mom. Today, that corner location is occupied by MR Chows. In 1979, every shop was three feet deep in mud, despite the fact the Malibu Country Mart isn't in the current 100 year flood plain. My parents' gallery, located in the two-story building next store, fared better, but Cross Creek was transformed into an extension of Malibu Creek, and we had a repeat of this disaster in 1984 and again in 2003. The Civic Center area is inhabitable now, but sea level projections indicate that in 50-100 years it may require major revetment and drainage measures to remain above water, regardless of whether the Park shopping center houses a Whole Foods or a Buy ‘n’ Large. The combination of increased traffic and less coastline is a serious issue for Malibu. Any new development needs to adequately address traffic. This project hasn't done that. Like Madame Pompadour reportedly said as the revolution rose like an angry tide, aprés nous, le deluge—after us, the flood. But while we’re waiting for the waters to rise, it would be nice if the corporate interests could respect and maybe even try to listen to the residents. Who knows, it could be the start of a beautiful friendship, or at least a thoughtful dialogue. Everyone who is concerned about the future of Malibu needs to be at that meeting on Monday and to respectfully and succinctly provide input. But it’s OK to laugh at the project’s traffic consultant, he’s obviously there for comic relief. You've so eloquently put every bit of critical information in this and managed to marry the various aspects so that it's a wonderful read. Full of facts, history and statistics - so grateful that you have your focus on this and that you are one of my treasured neighbors!